So,normally i won’t post like “random” stuff in here, or just use this website as a blog. But i’ll mostly post my own work and pictures here. But for now, i want to make an exception. 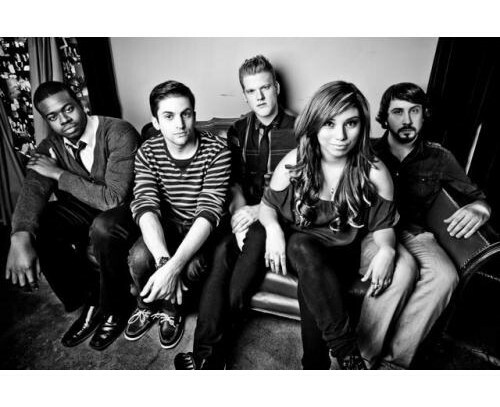 There’s a bunch of cool people, calling themselves Pentatonix. Nothing special ? Better think twice before you say that. They already have a debute album on iTunes that you can order. But they also have an amazing YouTube Channel where they post their clips/videos/making of’s/interviews.. which makes it all pretty legendary. They’re touring and promoting their second album,called PTX Vol. 2. You can preorder the album right here. The reaason why I make this post? Very easy. Those guys (and girl) are so awesome. They perfectly blend into 1… And as i’m also loving beatboxing.. Yep, love those guys. Take a look & listen to their Beyoncé Medley and their cover and video of Macklemore’s “Can’t Hold Us” .. it’s simply A-MA-ZING.